“Perform Yourself” is an interactive work. Only through the performative participation of the audience do surface, sculpture and space emerge, partly thanks to the virtual fundus of our collective memory. 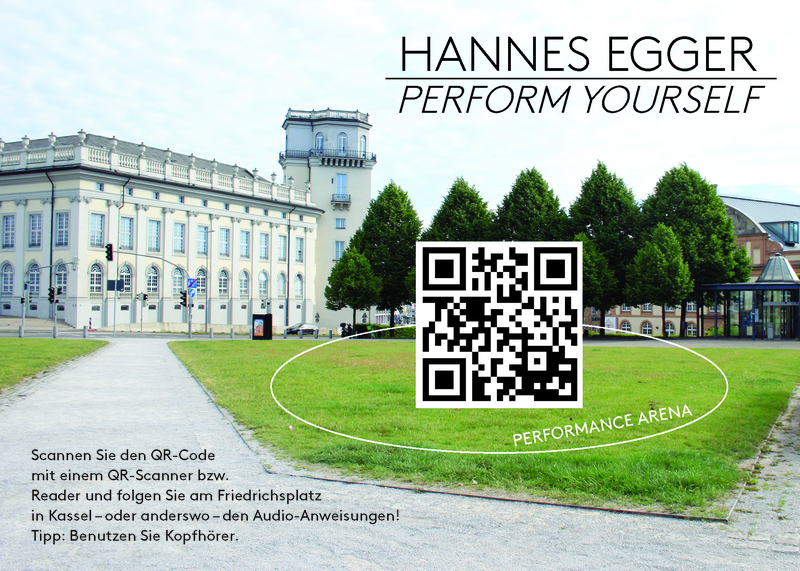 A half-page advertisement in “Kunstforum International” Volume 248/249 invites the viewer to scan a QR code with their own smartphone. In the opening audio file, a female voice guides the viewer to a seven-minute performative action whose content revolves around concepts such as personal and collective memory, copy, body, and oblivion. Through participation, a performative action occurs that can be perceived by third parties, which then dissolves again and remains stored only in the memory of the performer or viewer. The performance itself, as an audio file stored on the Internet, can potentially be repeated everywhere countless times.